Hi everyone! 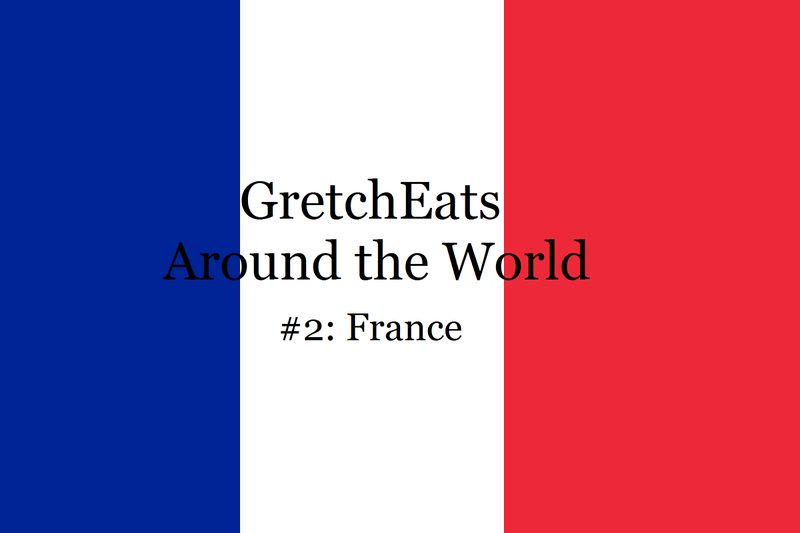 Today I have the second installment in my "Eat Around the World Challenge" (if you missed the first one, click here!). Today, we'll be traveling to France. This is another cuisine that I've never made before, and I actually haven't eaten much of either! There aren't many French restaurants in Pittsburgh, and the ones we have are a bit out of my price range. It was fun trying out some new recipes, but unfortunately the sides turned out much better than the main dish. I did find an AMAZING recipe that you'll find below, and I can't wait to make it again and again! It's incredible! Keep reading and see what I came up with! P.S. I'll be linking up with Anne in her next Pin to Present series! If you want to follow me on Pinterest, click here. The pictures on the left are the pins, and my version is on the right. 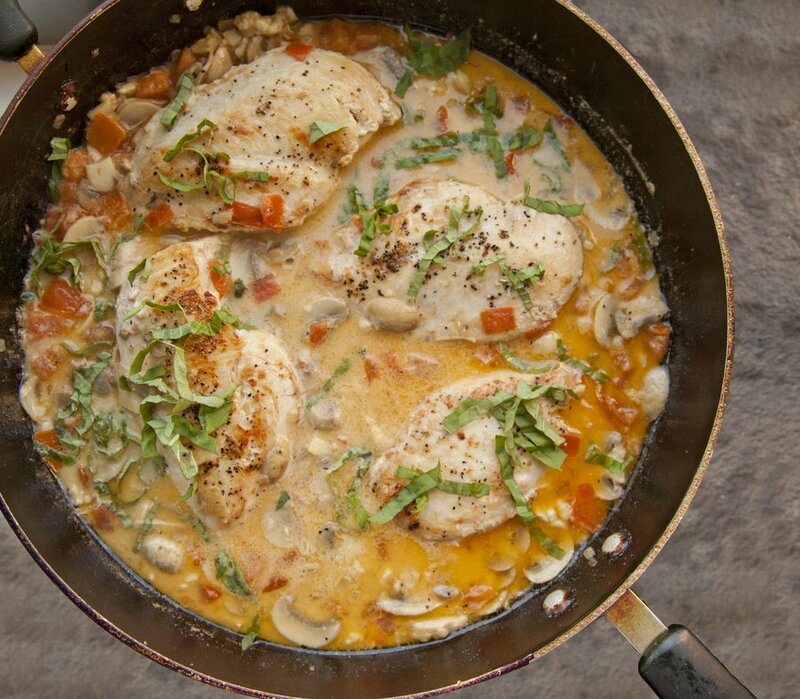 The chicken chasseur was very odd- when I made it first, the sauce was really runny and bland. I tried it again the next day with some cheese and rice and it transformed into an incredibly rich, delicious dish! So weird! I'm not sure if I would make it again, but it was great as leftovers! The carrot salad, however, was so simple and delicious. I decided to get multi-color carrots (which I think taste better, and also look prettier) and used a spiralizer to shred them. It was a great side dish, and I'll be trying this again in the future! I took leftovers for lunch the next day, and it tasted even better. The dressing marinated the carrots and it tasted amazing! This was AMAZING and definitely the highlight of dinner! I don't have a broiler and forgot bread, but even so this was incredible. I don't typically like French Onion soup, but this one was so rich and decadant. I am in love and will be making this recipe again and again! The recipe itself was really time consuming, but didn't take much effort. Most of the time I was just waiting for the onions to carmelize or the soup to come together. Highly recommend trying this out! I hope you enjoyed this little food journey today! This is such a fun resolution and Dan and I have both enjoyed trying new cuisines each month without paying a ton to go to restaurants. Coming up next month is Greece...can't wait! Do you like to try out different cuisines at home? I LOVE making carrot salads with my spiralizer! I can never find any other colour carrots though - maybe at the farmers market this weekend! French onion soup is also a fave! I never really eat French food, but it always looks so rich and delicious! I noticed them at the store right beside the regular carrots! I think you would definitely find them at the farmers market. Try them out- they're great!! We've got a franchise of French bakeries in Texas and they're amazing! 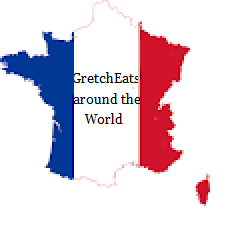 If I can't get to France, at least I can go there. French cuisine is one of the meals that i have never made! I didn't even know what was considered 'French' until i read this post! The food looks great espeically the french onion soup!! Thank you! I'm glad you liked it :) The recipes were all so easy, you should try some! I have a veg version of French Onion Soup I make and love. When I was in France for vacation, I was vegetarian but not vegan and was afraid of accidentally ordering dishes with meat. So pretty much all I ate was cheese and crackers and those tomato/mozzarella panini sandwiches they sell in food carts. Ohhh cheese and cracker diet in France..sounds amazing!! This looks awesome! I really want to try those carrots! You should! It was so easy and tasted REALLY good! Hmm... I really like croissants. :D I do like french onion soup, but I think my favorite is their croissants.